Allura is specifically developed to bring the power of shading and rendering flexibility to GPU rendering – a strong feature that will speed up your renderings by using the power of your Graphics Processor board and even multiple GPU boards. 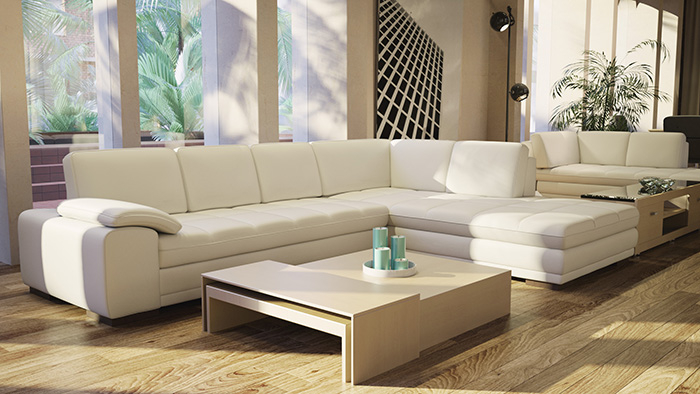 Allura provides Iray for SketchUp using the Iray+ Rendering engine from NVIDIA. NVIDIA Iray is a physically based 3D renderer which uses the power of your GPU Graphics Processor to perform the rendering. Iray is physically based in that it relies on computing light paths. Quite simply, most of the pretty settings are automatic: E.g., Indirect illumination, color bleeding, reflections, refractions, soft shadows, blurry reflections, reflective and refractive caustics, volume scattering, etc. You just assign materials and click render. All the rest pretty much takes care of itself. Our full-featured GPU renderer eliminates restrictions in today’s technology of graphics card processing units (GPU). Nearly every modern GPU renderer faces the same issues; due to hardware restrictions, only a few material rendering properties are supported – in fact – sometimes 3D artists are forced to only use one or a few specific materials. Not the case with Allura: it provides full support for all SketchUp materials as well as custom materials you create. A real breakthrough in Allura is how it’s designed to carry no materials of its own, yet is compatible with materials from SketchUp and other sources. This never-before-seen flexibility could only be achieved through the engineering of a whole new software design for a GPU rendering engine. An advanced new material shading core provides Allura with the advantage of representing nearly every material effect in the form of a highly optimized native GPU shader. Using Nvidia’s latest GPU technology, we developed Allura to take full advantage of the hardware and in doing so we created one of the most sophisticated unbiased path-trace renderers that offers Physically Based Spectral Rendering. Users can expect to produce extremely accurate, photograph-like results that artists won’t stop raving about! What users should expect from any full featured renderer is broad support for rendering effects that do more than just the basics such as: proper support for different Illumination models; camera effects; IES Lights; and complex materials and textures. A modern photo-realistic rendering engine must also support the latest state-of-the-art skylight illumination models. By offering Multi-GPU support, Allura is ready to unleash all of the available GPU power in a workstation at once. CPU rendering will soon be just a memory. Allura provides a continuous GPU rendering workflow from SketchUp with an EASY setup. All of your material and light definitions along with your rendering settings are stored inside SketchUp. That makes it easy to return to the same model later and process new renderings, or share render settings with other models..